For many of us, laundry is a pain-in-the-neck chore. This goes double if you don’t have a washer on site and have to tote your overfilled bags of dirty clothes and linens to the nearest laundry service provider. 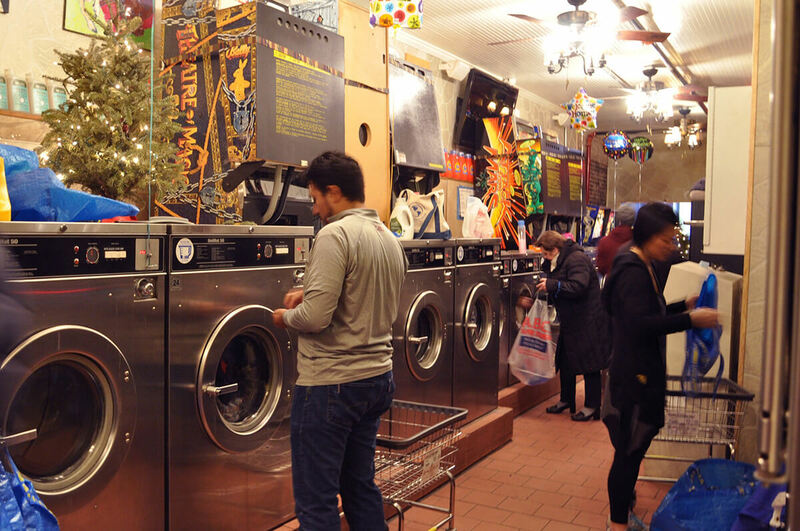 Luckily, some clever laundromats are working to make doing laundry less of a burden by offering their customers restaurant-quality food, coffee, and other entertainment options. Here are a couple of laundromats where you definitely wouldn’t mind spending your time waiting for the spin cycle to finish. 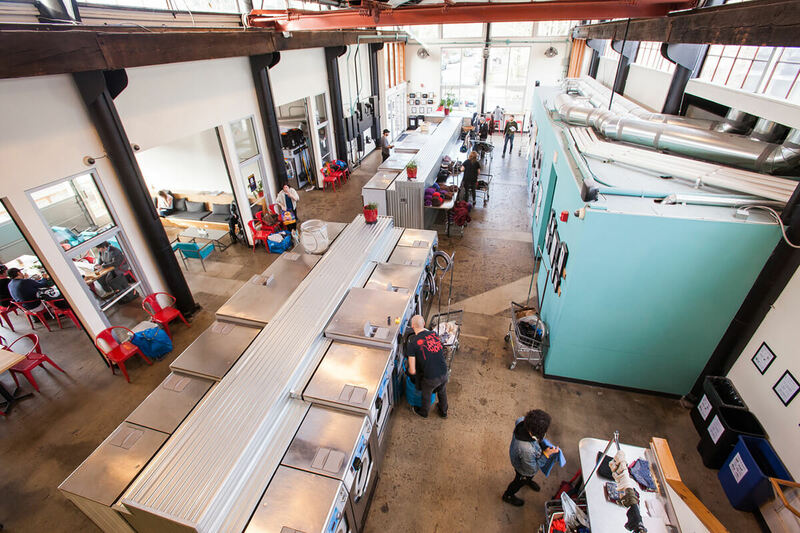 This amazing laundry offers patrons everything from food (breakfast, burgers, and even a full bar including craft beer) to entertainment. You can choose from over 4,000 books to read while you’re doing your wash. Oh, and there are bands scheduled regularly too in case the library isn’t enough. There are brightly-colored laundry machines here. 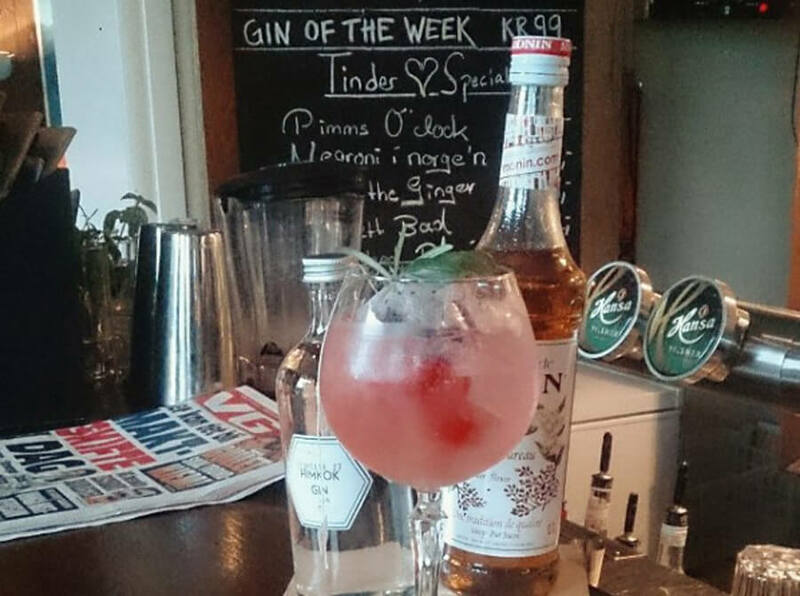 Gin of the week? I’ll take two, please! 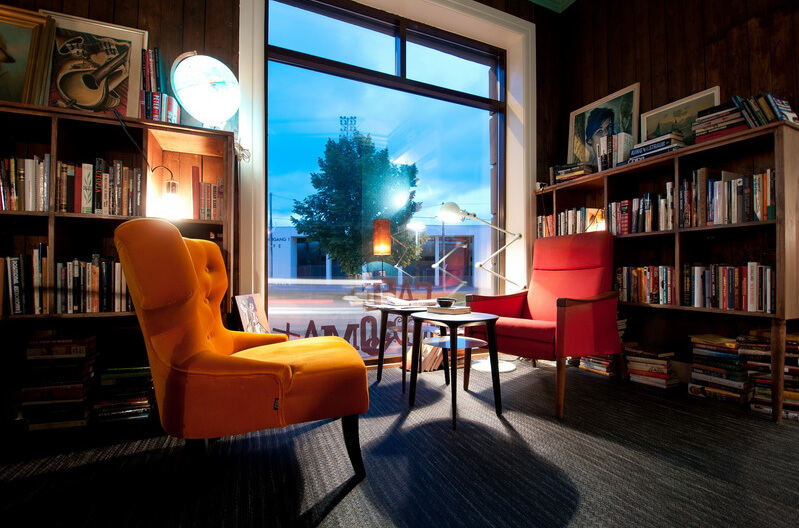 There are so many books to choose from, and plenty of cozy spots to read in. Would you ever take a date to the laundromat? 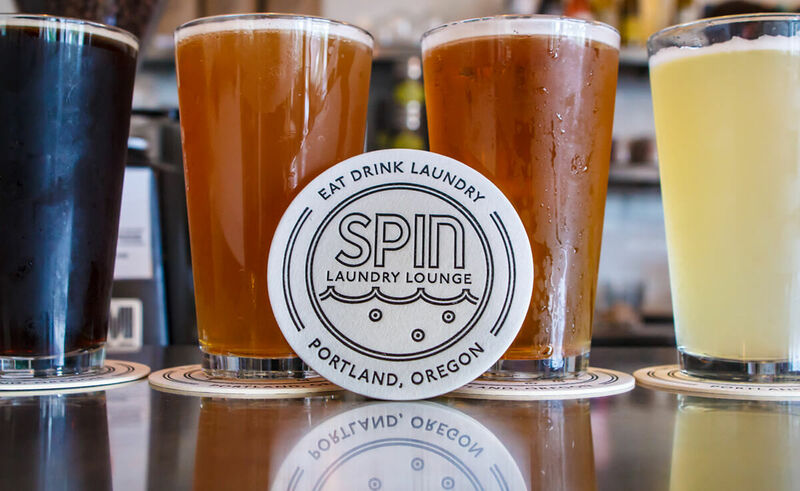 If you lived near Spin Laundry Lounge in Portland you just might consider it. 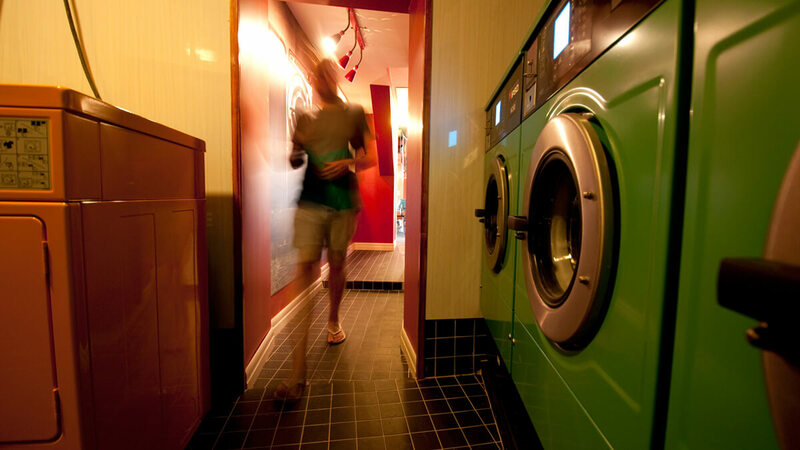 The eco-friendly laundry is open late (until midnight) and offers food, beer and wine, classic arcade games, and a projector showing local sports matches. What a large, inviting space to get your laundry done in. 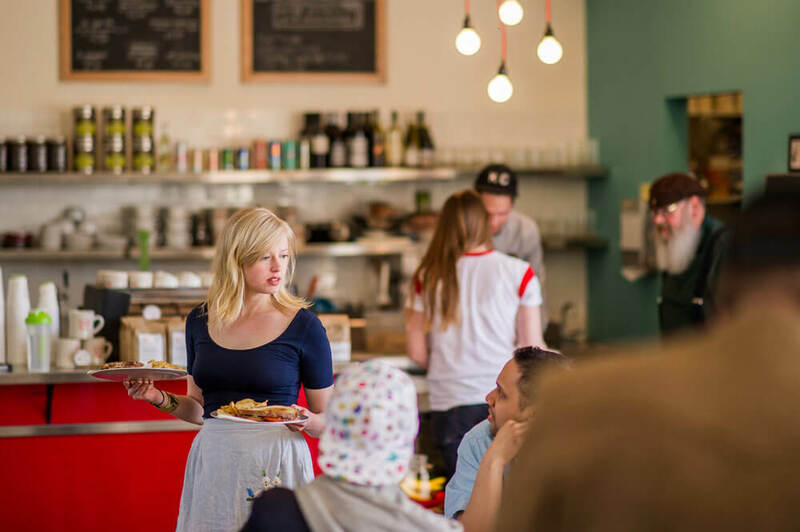 Full table service awaits you at Spin. EAT-DRINK-LAUNDRY… we sure like that slogan. 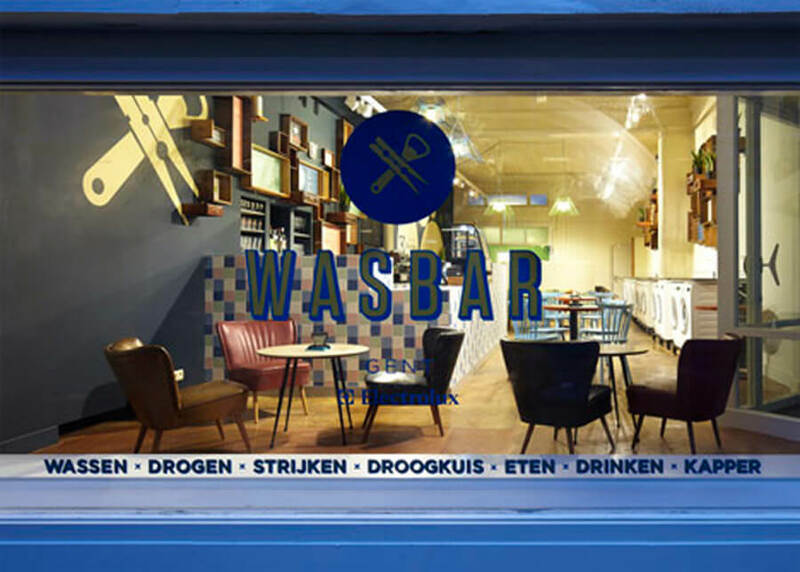 This unique laundromat was inspired by a desire to get rid of the traditional wash facility’s “garish strip-lighting” and “soundcloud din.” Not only does Wasbar have ample area for laundry machines, it also offers a café and get this — a hair salon! Talk about knocking out a couple of errands at once. This is the laundry’s charming exterior. 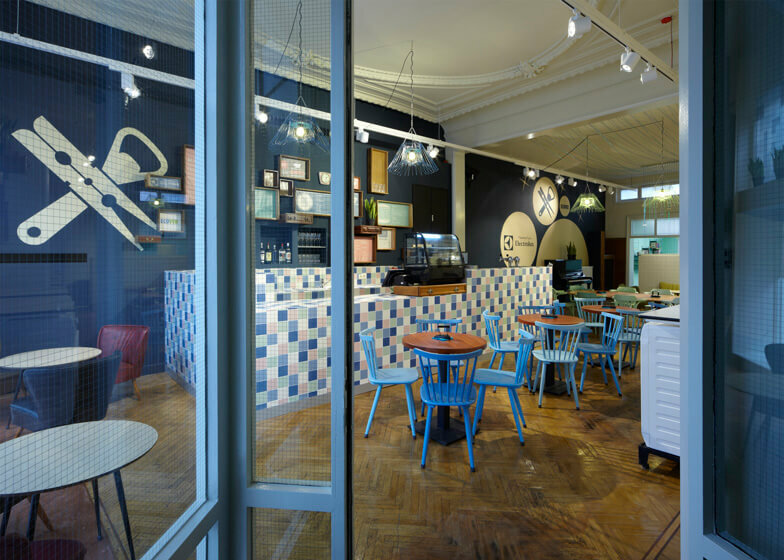 There’s also a pleasant and cozy cafe for all your snacking needs. 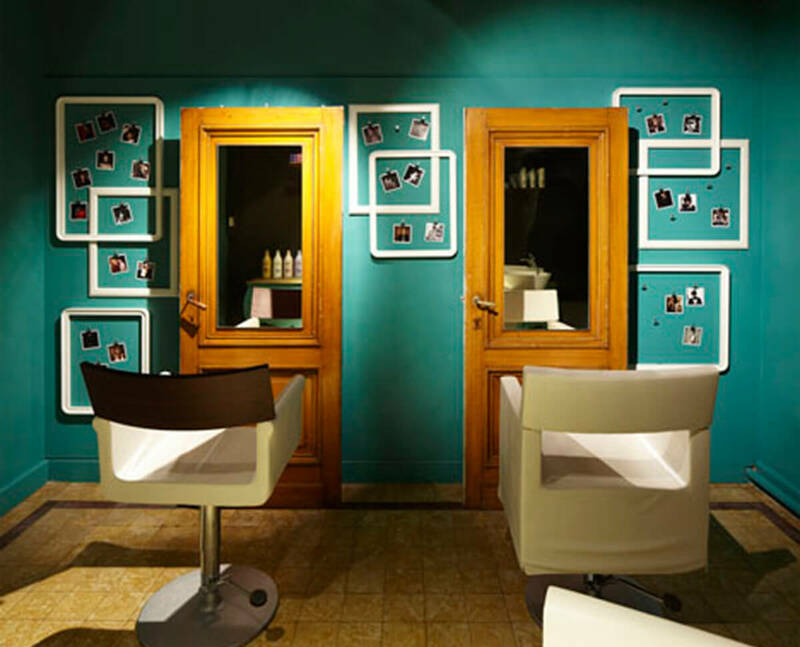 And why wouldn’t you get a haircut while your laundry was being washed? Not only is this amazing laundry also an arcade that actually displays customers’ high scores on its website, it also triples as an art gallery. 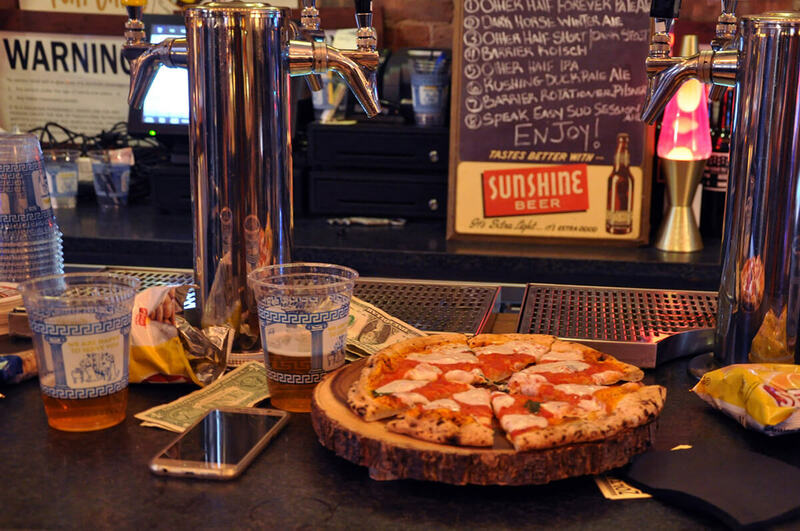 And Sunshine even ups its entertainment value by offering pizza and beer. What more could you want as you’re washing your clothes? There’s a party vibe at this laundry! 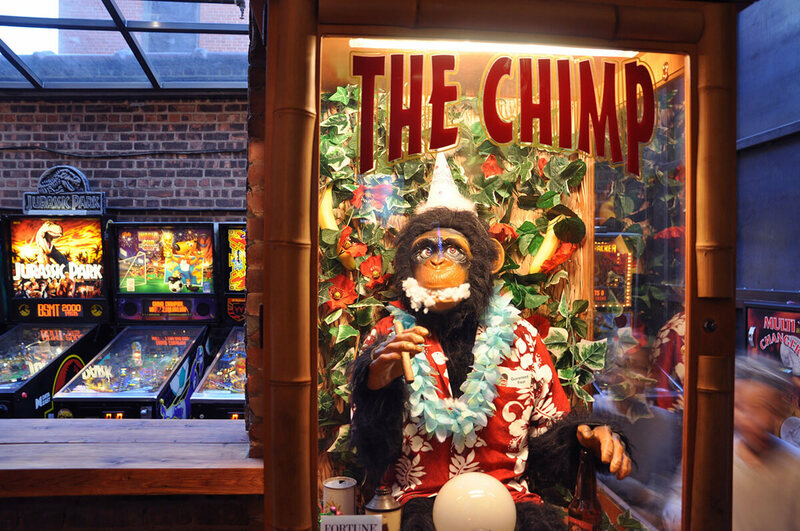 You must say hello to “The Chimp” when you visit. Pizza and pinball… the perfect pair.